Jerry MacNeil loves words and making things up. He also loves running, Minnesota summers and fish tacos. Though a city dweller for most of his adult life, MacNeil's rural Midwestern roots run deep. 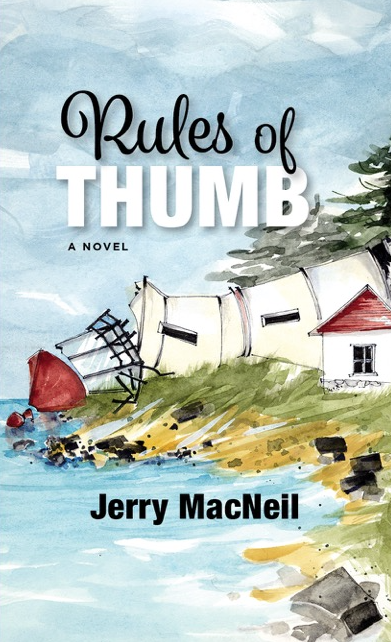 Rules of Thumb is set in Michigan's bucolic Thumb region, as does much of the book he's working on now, which is tentatively titled The Boy With the Upside-Down Mouth. MacNeil's second novel, Next Bridge, will be available in the fall of 2017. Jerry MacNeil, his awesome wife Trudy, and their brilliant son, Ian, live in an incurable fixer upper in St. Paul, Minnesota.